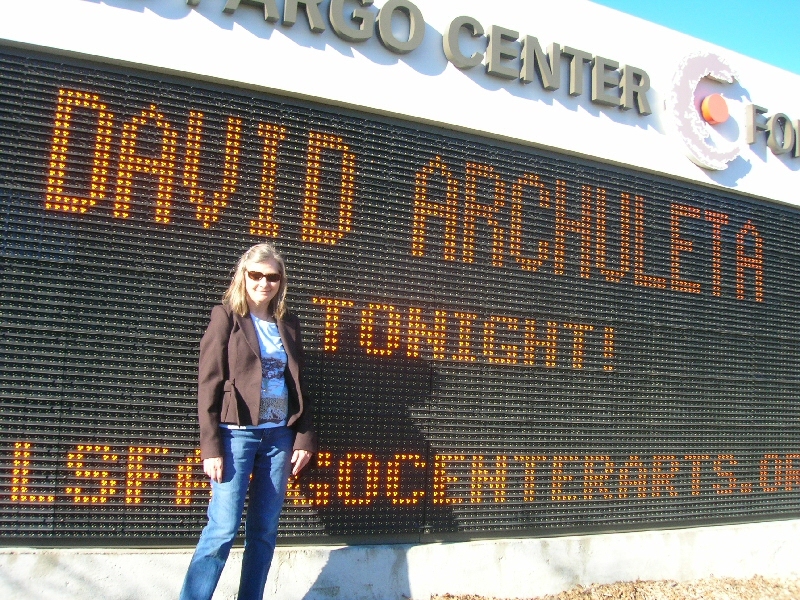 David Archuleta, LIVE in Santa Rosa! If you have ever seen David Archuleta in a live performance, you will probably know what I’m about to say. The experience is overwhelming; it has a quality I’ll call “persistence of memory.” Long after David and his crew have packed up the tour bus, loaded the semi with all the equipment, and hit the road to another town, I cannot get the concert out of my mind. It always takes me a long time to be able to write about it. The concert events are fun, exciting, and easy enough to catalog. I could tell you that the stage was set with white conical Christmas trees; that Benton Paul and his band opened with a pop/rock sound with creative lyrics and smooth melodies; that no curtain dropped before David’s band ran onto the stage. When David himself ran to the center microphone, the audience erupted. He started the pop segment with “Waiting for Yesterday” and closed with “Prayer of the Children.” In between was a beautiful a cappella ending to “My Hands” and an energetic “Zero Gravity.” There was the adorable David we all love who said “just kidding” when he announced a song out of sequence—a stagehand came to remove the standing mic, as David remembered he was supposed to go to the grand piano to sing “The Riddle.” Gosh, I’m glad he remembered that song! When David covers a song, he owns it. “Fields of Gold” was gorgeous. I could recite the events chronologically, but how do I express the experience that persists after the show? My vocabulary needs more superlatives to describe the event itself and to explain my own experience of it. And then he sang nine songs from his debut album, Christmas from the Heart, with reverence and joy. I was so “mesmerized, hypnotized,” I didn’t even hear the vocal break in “Ave Maria.” Later my sister told me that she looked over to make sure DA Glee Bees were in their seats, fearing one of them might have flown into David’s mouth to inspect his vocal cords, causing him to lose his voice momentarily! haha! After “Pat-a-Pan” David was chatting with the audience when several fan girls shouted, “David, we saw you in church today.” Bashfully, he smiled and mumbled, “That was lovely…” which prompted a little song and dance out of him. To the delight of everyone, David danced a jig and sang a lick from “Lovely Day” by Kirk Franklin. 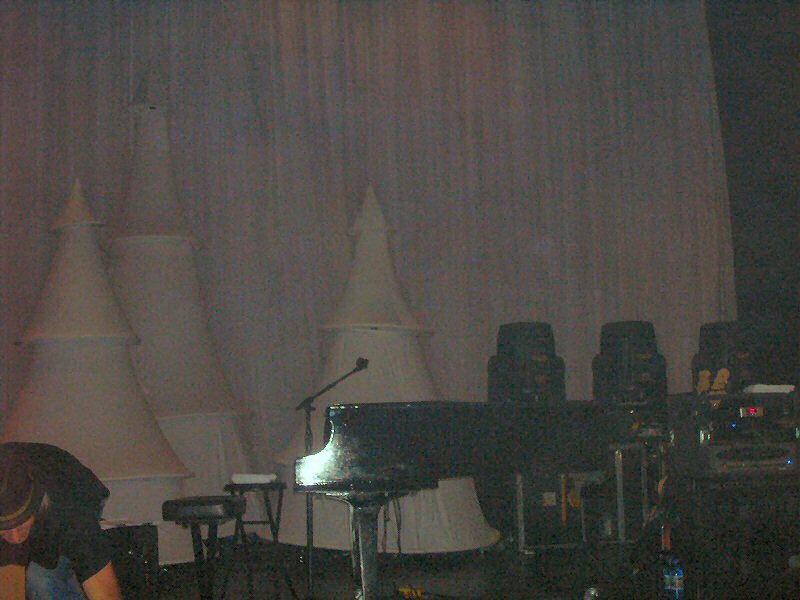 I was lucky enough to see David’s Christmas from the Heart tour twice at both Bay Area venues. Thanksgiving holiday, busier for me this year, culminated in a long weekend in Santa Rosa and San Francisco, my sixth and (lucky number) seventh David Archuleta concerts. Yes! I’m counting ’em! Each time I see David LIVE my heart and soul seem to soar far from my Earth-bound flesh & bones and it takes time to recover all my faculties. It helps to have fan friends who share our experiences. In Santa Rosa we were lucky enough to meet our dear Honeybee Pam Pike. Saturday night before the concert we had chatted about DA for four hours at dinner and would have kept going but the management closed the restaurant. The following night after the SR concert we wisely chose a 24-hour restaurant! 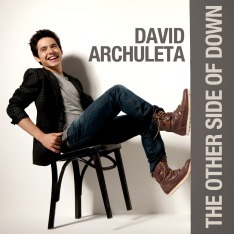 It’s great being a fan of David Archuleta and meeting other fans. Moving on to the San Francisco VIP experience as soon as I am able—mentally, emotionally, physically…you get the point! I’ll try to make it worth the wait. You did much better at taking in the details of the concert than I did, maybe because you are a seasoned concert goer. The Kansas City show was my first concert since the AI tour and I think I was in a trance. I was sitting so close to the stage that to see anything else, I would have had to take my eyes off of David and I can assure you …..that did not happen. When he ran off the stage after Feliz Navidad, I could not believe it was already time for the encore, sure wish I could have made it to a 2nd show. Maybe then I could have looked around a little and taken it all in, thank goodness for You Tube.